Accept your Acceptance | MND GMZ MINISTRIES: Reclaiming the Rules, Finding Identity in Christ. It’s a phrase I heard at a youth retreat I was working several months ago. I’m sure I’ve heard it before but somehow it struck me like a bolt of lightning this time. Accept your acceptance. 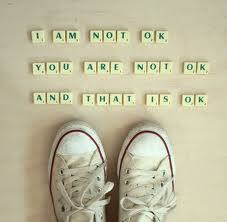 Within this simple three word phrase are so many truths that I find so difficult to grasp. Accept your acceptance. I was struck by the implication that I am already accepted. Accept your acceptance. Not earn your acceptance, simply accept that you’ve already been accepted. I’m accepted. What does that mean? There are two definitions. 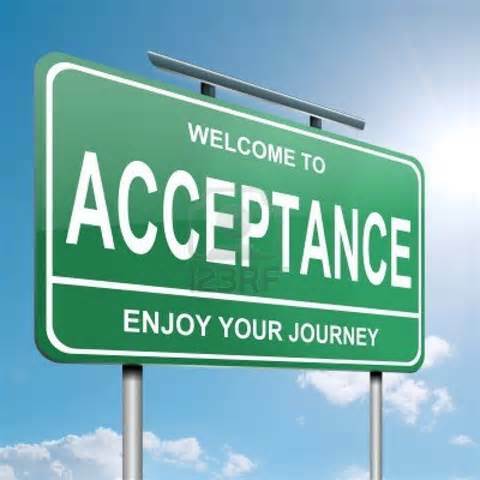 First, acceptance means the action or process of being received as adequate or suitable. I’m received as adequate or suitable. By who? Is it really possible that God sees me as adequate and suitable? I’m so messed up! I’m so sinful! Doesn’t He know what I’ve done and who I am deep down inside? Because if He did He certainly wouldn’t want me. He’d certainly reject me. And what would He see me suitable and adequate to do? Doesn’t He know what a failure I am? Doesn’t He know how ordinary I am? I don’t have any special talents! What can I possibly do for God? And yet, He does know the depths of my brokenness and He finds me adequate and suitable anyway. And He does have a task for me and He’s the one who gave me the gifts and talents necessary to complete it, even if I can’t recognize it yet. And that brings me to the second definition. Second, acceptance means the action of consenting to receive something offered. God is waiting to receive something from me. What do I have that He could possibly want? He wants me. He wants what He has deemed adequate and suitable. He wants what He gave me to begin with – gifts and talents that make me unique and special, adequate and suitable. He wants me. All of me. The good, the bad, and the ugly. He created me and only wants back what rightfully belongs to Him. Accept your acceptance. God has accepted me. He has accepted you. He has found you and me adequate and suitable. He wants to receive what He has created you and me to be – and He will receive us just as we are. But we have something to do as well. We have to accept that. I have to accept my acceptance. And so do you. What keeps you from accepting your acceptance?